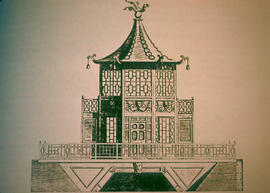 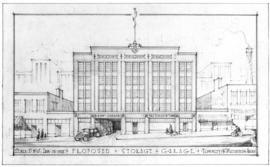 Image shows drawing of pavilion. 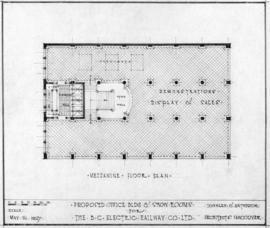 "With the publication of our latest catalogue, it is again our pleasure to record the wide recognition which is being accorded our method of house construction. . . ."Catalogue of house plans. 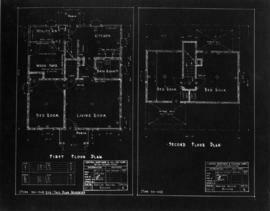 "50 sketches and plans, 10 pages of details, 100 hints for home builders, things to look for when you build, buy or rent a house . 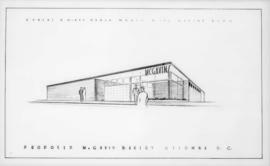 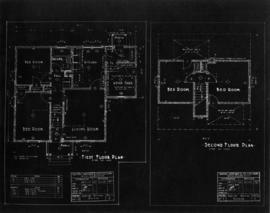 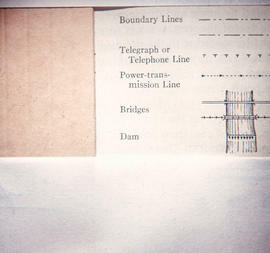 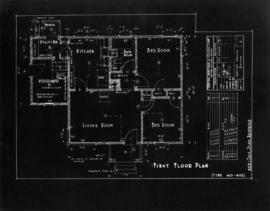 . . "
Item is a photographic reproduction of an architectural drawing showing the first floor plan for a bungalow. 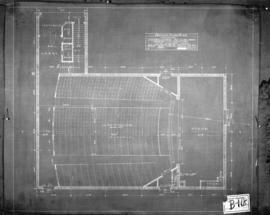 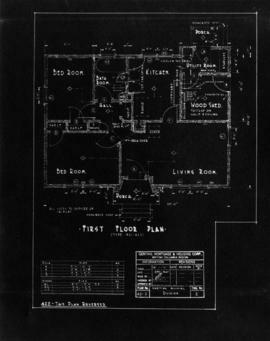 Item is a photographic reproduction of an architectural drawing showing the first floor plan for a bungalow, type 421-422. 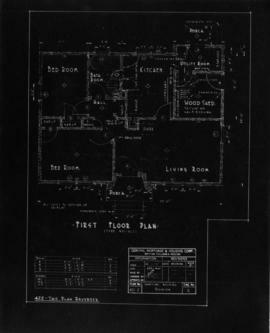 Item is a photographic reproduction of an architectural drawing showing the first floor plan for a bungalow, type 401-402. 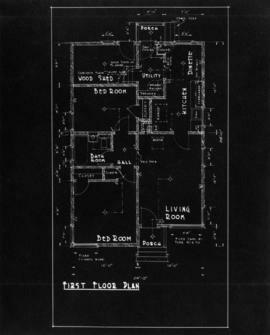 Item is a photographic reproduction of an architectural drawing showing the first and second floor plans for a bungalow, type 601-602. 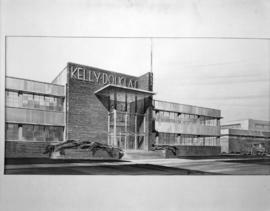 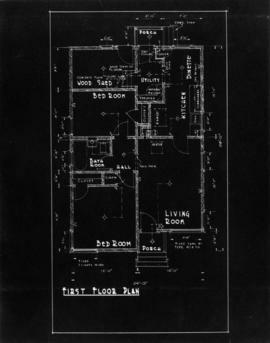 Item is a photographic reproduction of an architectural drawing showing the first and second floor plans for a bungalow, type 501-502. 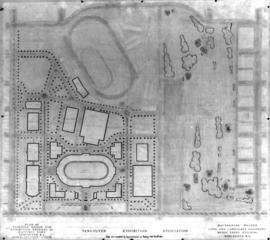 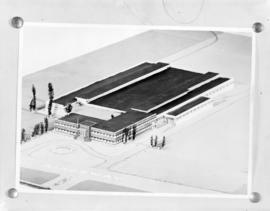 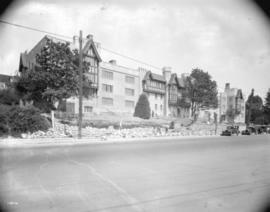 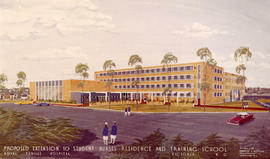 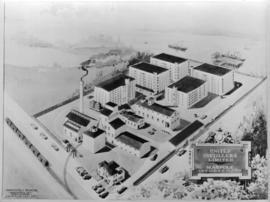 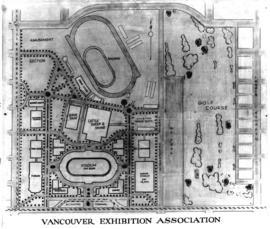 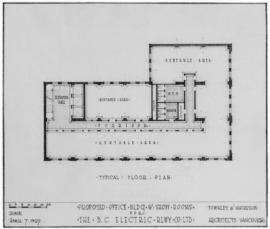 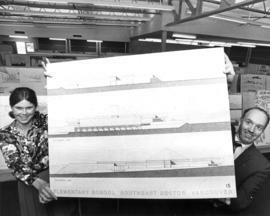 Proposed extension to nurses' residence and training school, Royal Jubilee Hospital, Victoria B.C. 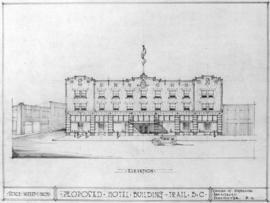 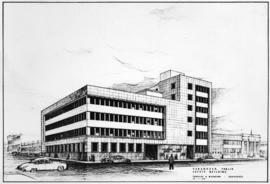 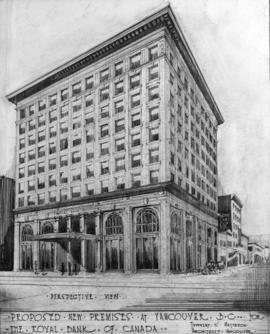 Proposed hotel building, Trail B.C. 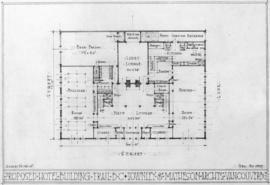 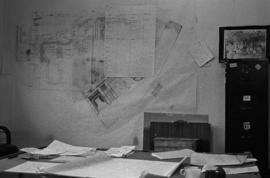 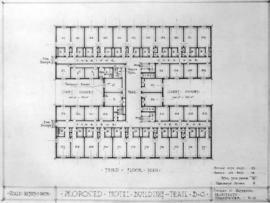 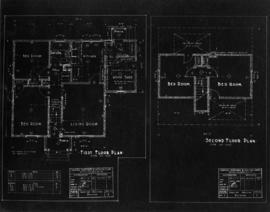 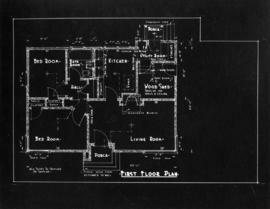 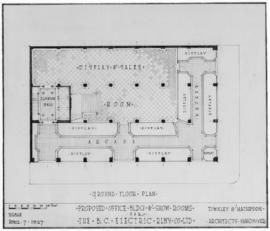 Photograph of architectural drawing showing floor plans. 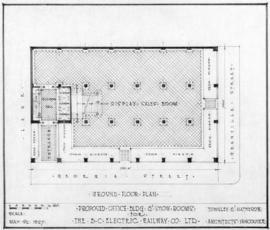 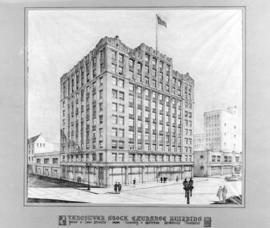 Location indicated on plan is corner of Granville St. and Georgia St., Vancouver B.C. 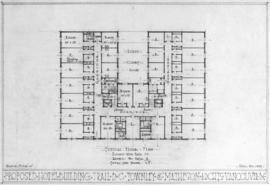 "A book of original and artistic house plans designed by architects who have made a study of low and medium priced houses; contains 108 house plans . . . ."
Catalogue of house plans. 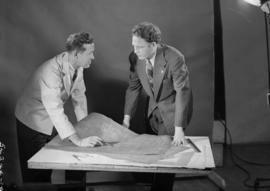 "We sell you a substantial, warm, comfortable, attractive house, complete, readi-cut to be nailed together and occupied, for less than you can buy the rough material." 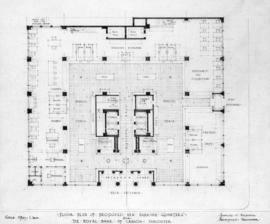 The home plan book : a collection of fifty architectural designs for homes of moderate cost of which complete working drawings are available. 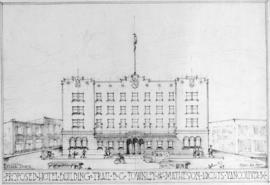 "Save one third in building by our modern system of construction"
Photographic copy of an artist's rendering.